The collection includes species nowadays neglected like rocket, cress or dandelion; species used as condiments like coriander and parsley, or that have local importance like borage, anise and parsnip. Furthermore other species of considerable economic importance like cucumber, spinach, carrot and green bean have been included. 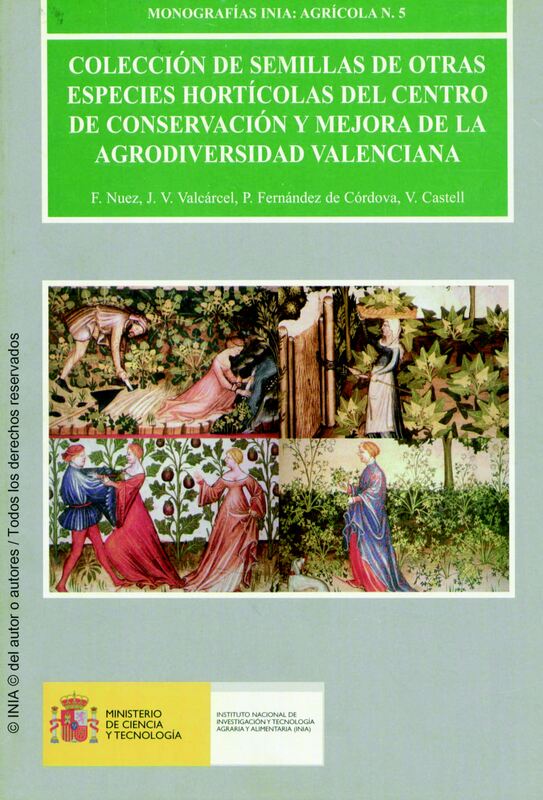 The book includes an introduction to this group of cultivated plants; the structure of the collection is described; the characteristics of the accessions represented in the collection of seeds, which are subdivided in families and species. Each entry of the collection is included in tables that give information about its origin, local name, condition of the sample and seed availability. Colour photographs are provided for some entries. Physical Description : 136 p.; 17x24; il.